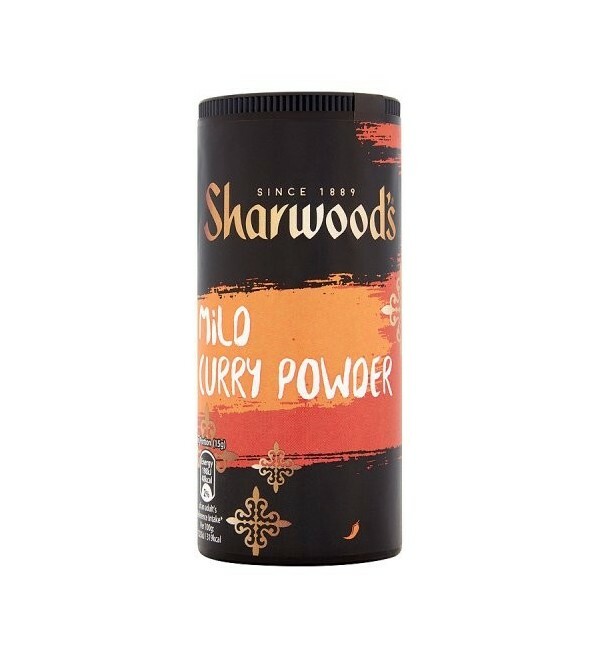 Sharwood's Mild Curry Powder combines an exotic blend of spices including coriander, cinnamon and fennel seeds, to create the perfect taste for more mild curries and Indian dishes. 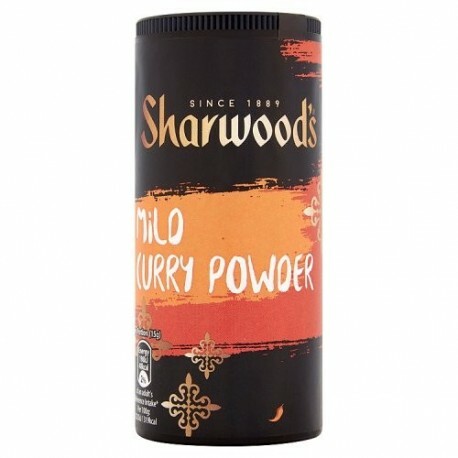 Sharwood's Mild Curry Powder combines an exotic blend of spices including coriander, cinnamon and fennel seeds, to create the perfect taste for more mild curries and Indian dishes. Sharwood's have been helping to create excitement with flavours in homes across the UK for over 120 years. Ingredients - Ground Coriander Seed (42%), Ground Fenugreek Seed, Turmeric , Ground Cumin Seed, Salt, Garlic Powder, Onion Powder, Rice Flour, Ground Mustard Seed, Cinnamon (1.5%), Clove, Ginger, Paprika, Ground Black Pepper, Pepper, Chilli Powder, Ground Fennel Seed, Natural Capsicum Flavouring. Ingrédients - Graine de coriandre moulue (42%), graines de fenugrec moulues, curcuma, graines de cumin moulues, sel, poudre d'ail, poudre d'oignon, farine de riz, graines de moutarde moulues, cannelle (1,5%), girofle, gingembre, paprika, poivre noir moulu , Poivre, poudre de piment, graines de fenouil moulues, arôme naturel de poivron.